Photo by Ilda Licon, Metro. The Border Grill green corn tamale with crema and salsa fresca was yummy, as were the fresh baked cookie ice cream sandwich from Sweets Truck and the lemon crepe from Crepes Bonaparte. 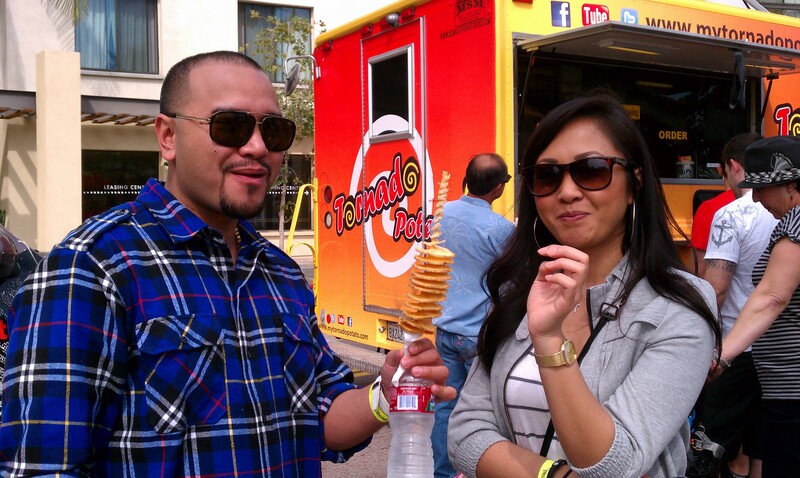 But it was the Tornado Potato that had the longest customer lines at yesterday’s first Truckit Fest at Union Station. Two for a tornado. Photo by Kim Upton, Metro. In case you’re curious, the Tornado Potato is a deep-fried spiral sliced potato on a stick that vaguely resembles a tornado. There were so many around it looked like a Star Wars convention, except that the light sabers came with dipping sauce. We had just rolled in on the Metro Red Line, which meant we received a $1 discount off the price of admission for showing our passes. 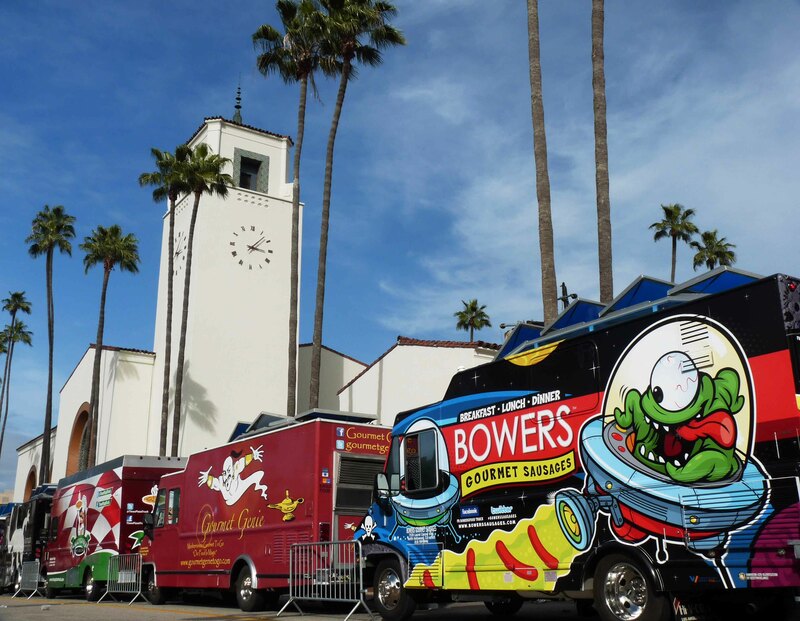 The several dozen food trucks served a wide range of foods from hot dogs to deli to sliders to soul food and Indian dosas. It was like a carnival but the food was good. And the live music and sunshine were just fine. For those who weren’t hungry (not sure who that would be) there also were vendors selling earrings and sundresses and T-shirts and books. The place was mobbed by 11 a.m. opening, proving that L.A. can rise before noon on Sunday if properly inspired. Truckit Fest is scheduled to continue once a month, on the first Sunday. Make sure you go Metro to save on admission, parking costs and $4-a-gallon gas. You’ll feel smart, as well as full.